Actually there are two hats lying there. An excellent photograph. 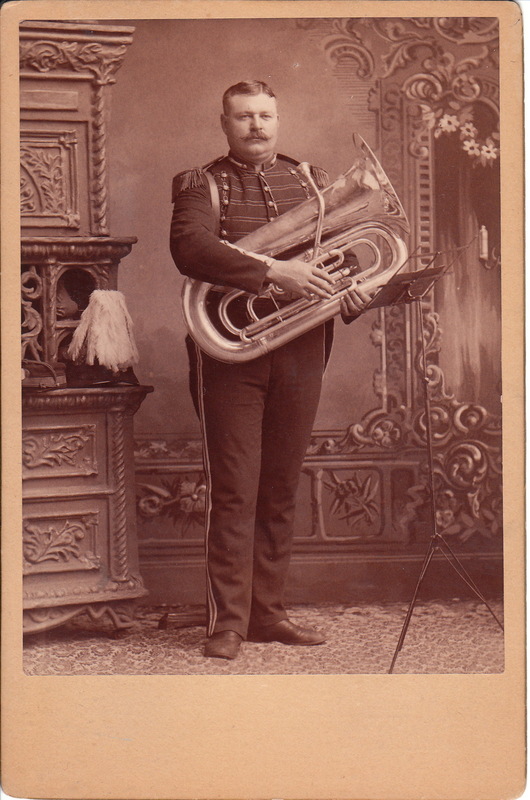 I think the tuba is an E-flat Conn in silver. The bandsman’s uniform is similar to those of a regimental band attached to a state militia/national guard. It’s a shame there is no photographer’s mark. His cap or shako probably has a name badge that would give a clue if we could only see it.